If you are in town this weekend, be sure to visit Culver’s 1st Annual Fall Festival. As part of the activities, we’ll have the photo booth downtown Saturday 10-6 and Sunday 10-2. The photo booth will be open to everyone for $2/person with half the proceeds going to Culver’s EMS. Have fun while supporting our local ambulance service! 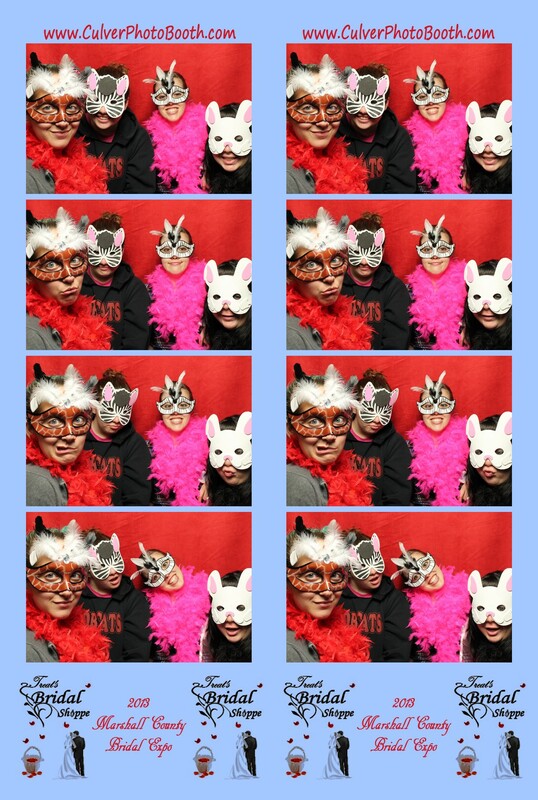 Our photo booth has already booked several Spring events to include: a couple of Graduation parties, a wedding, a reunion, and a couple of High School Proms. If you were wanting our photo booth at your event, please contact us to reserve your date. I’m sorry but there appears to be some confusion about where the photo booth will be this weekend. I WILL NOT have the booth at Culver Academies’ Senior Dinner Dance. (I proposed it to the committee and they decided not to have it. I’m not sure why. Sorry.) The booth will be at Oregon Davis’s After Prom (very late Friday night) and Culver Community High School’s After Prom (late Saturday night). We are pleased to announce that we’ve purchased a heavy duty, beautiful 14’x20’ tent that is large enough to hold the photo booth, all the props, and our equipment with plenty of room to spare. Our new tent is a little larger than we really need but its size allowed for an interior height that would fit our photo booth. We purchased the tent so that we can have the photo booth at outdoor events without having to worry about the weather. With our new tent having sidewalls with windows, we’ll be protected from both rain and wind which tends to blow our props everywhere. For outdoor events, please note that there will be a surcharge if we are using the new tent as our setup and teardown is increased by a few hours. We are looking forward to participating in the Relay for Life event at Culver Academies this Friday night. We’ll have the photo booth there and are donating half of our proceeds to Relay for Life. Props will be available and we’ll print strips for everyone who goes into the booth. It should be a fun night and it’s a great cause! Today I just received word that we’ll be having the photo booth at the Culver Comminuty High School (CCHS) After Prom in May. 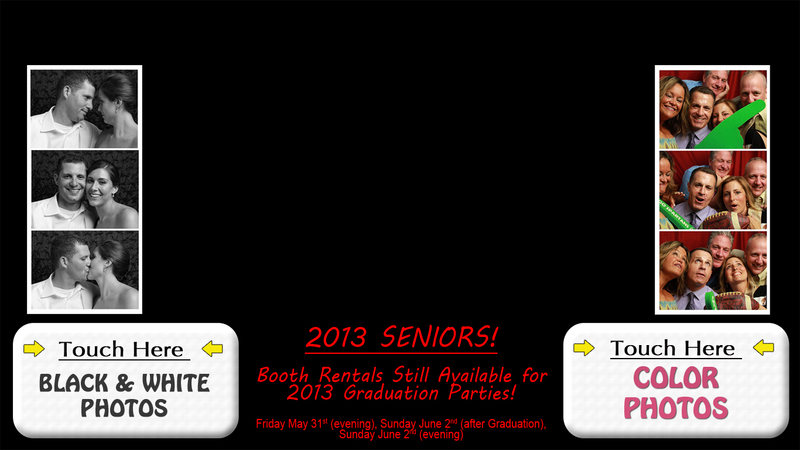 I think the booth will be a huge hit for the seniors as they’ve never had a photo booth at their After Prom. Their After Prom is held at the LifePlex center in Plymouth, Indiana which does a great job at providing fun, safe things for the kids to do once their Prom is over. We’ll have our booth will be set up from 11:00-1:00 which will not interfere wil the hypnotist who takes the stage at 1:00. Please be sure to to thank all the volunteers and supporters who help make this event happen every year. Last night, I couldn’t sleep. Instead of watching TV, I decided that it would be fun to have a map showing eveyplace that the photo booth has been set up over time. Using Google Maps and a small program called Maps Marker, I came up with a nice solution allows me to input different “markers”. 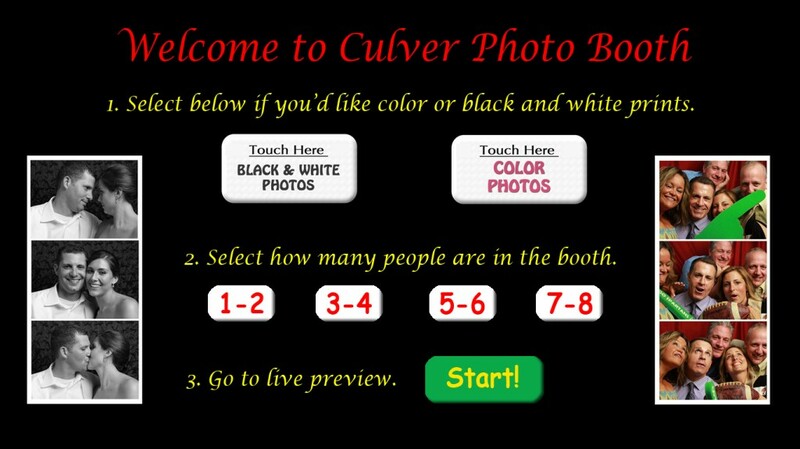 The new map is located under a new tab at the top of the photo booth website (www.culverphotobooth.com) called Places. Though there are only 7 places listed right now, this map should populate much more in the coming months. By request, we’ve added some new props to our line-up of goofy items for the photo booth. 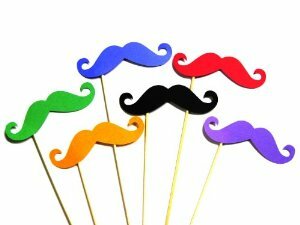 We now now mustaches on a stick! Be sure to look for them at our upcoming events. After a week of working on it, I’ve created a new interface for the photo booth! Though it might sound simply, changing the interface was a very difficult task. In hindsight, it was much more involved than I had anticipated. All totaled, it required creating close to 60 directories and 60 xml files that all had to synced properly. Changing one item, required changing all the xml files. It was not easy. Below is the new interface. When you select an option, that option lights up. If you change your mind, you simply select something different. Once you are happy with your selections, you go to the live preview to make sure that everyone will show up in the photo. Below is the old interface. It did not allow for multiple prints. We’ve booked the photo booth for one of the area’s local school’s After Prom. In early May, we’ll have our booth at Oregon Davis High School for their After Prom events. It will be a late night, but I think the students will enjoy the booth. 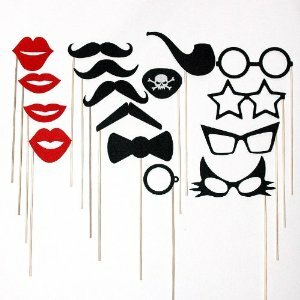 Have a Prom or After Prom event that you’d like the photo booth at? Call us at 574-842-2000. I wanted to provide an update about the Relay for Life kick-off. The date was changed from the 12th to this Saturday the 19th. The event will be held at Culver Academies’ Dining Center from 7:30-10:00 PM. I will be at the event with the photo booth setup and all my props. If you are on campus, be sure to drop by. It should be a great event as they are expecting around 200 people to attend. Today, Ginny and I participated in the Marshall County bridal expo that was hosted by Treats Bridal Shop in Plymouth, IN. Unlike the bigger shows in South Bend and Elkart, this smaller show made it possible to interact with brides and their friends/families. 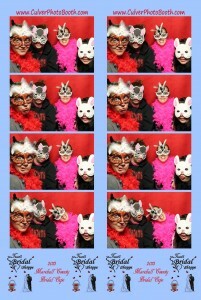 In addition to some of our photography work, we had our photo booth there so that people could try it out. We had a lot of fun working the event and booked some 2013 events that we look forward to working! 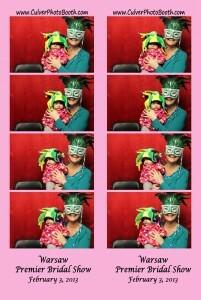 We have a winner in our first photo booth rental contest! Mrs. Stackhouse was the lucky winner in our holiday contest. Using a random number generator, we selected our winner at midnight on Thanksgiving night. Mrs. Stackhouse is graciously donating her winning rental to Culver Academies’ Atrium Dorm which her daughter is in. 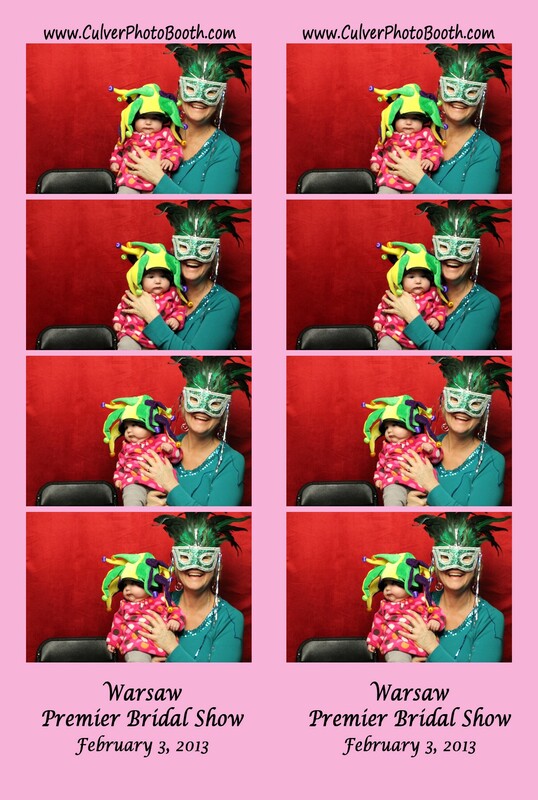 CGM Photography has a Photo Booth! After thinking about adding a photobooth for over two years, we’ve finally settled on one that we feel produces the best photo quality. Earlier today (October 31), we ordered the booth, and it will be here in 3-4 weeks! We are already booking dates so if you are interested in an event, let us know. For more information, please explore the links at the top of this page.